Introducing ScanPass powered by Connect ONE. Now you can provide Cutting Edge Technology and Value to your clients while generating significant additional Monthly Recurring Revenue. Easily affixed barcode stickers eliminate access control cards/fobs and readers. Complete jobs faster, more profitable and secure! ScanPass Mobile Credential is unlike any other smartphone or mobile access control device on the market in that it offers greater connectivity options—including premise network or cellular—for users to gain access to interior or exterior doors in and around the facility. With the ability to use different communication pathways, users are assured of instant accessibility. 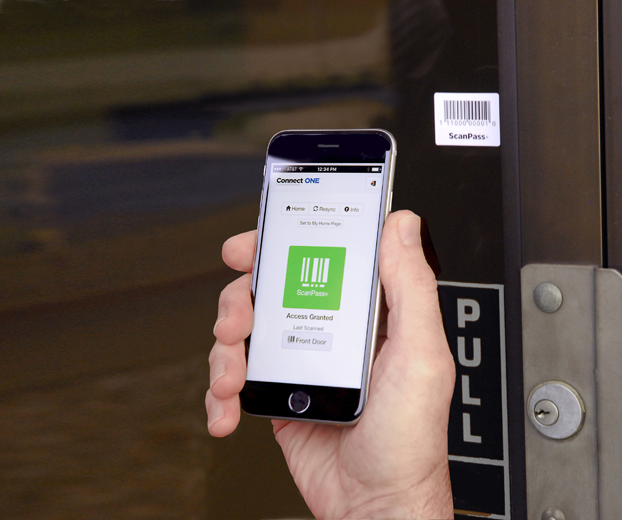 ScanPass Mobile Credential users simply point their smartphone or other device credential at the barcode sticker and the barcode designates the proper door to be unlocked for entry. 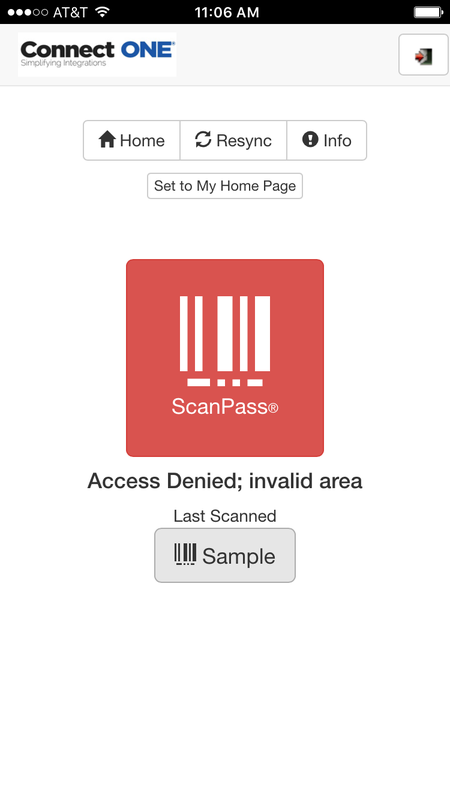 ScanPass Mobile Credential does not require the user to scroll through a lengthy dropdown list to locate the door to be unlocked. It also does not require a dedicated reader or additional hardware in the smartphone, in the example of Near Field Communication. “The Connect ONE Access Expander provides exciting enhancements to the ELK M1 with expanded user support, schedules, and event history. ScanPass takes this a step further, offering intuitive access control via mobile devices and supporting an expanded number of access points. This enhanced capability adds value and convenience, giving installers an edge and opening new possibilities in a variety of commercial markets,” says Amy Strickland, Marketing Design Manager at ELK Products. 200+ Doors and 10,000 Users from ONE control panel! Instant Granted or Denied Feedback right on the user's phone! Instant Granted or Denied Feedback! Lower costs and faster installations with less equipment, yet higher monthly recurring revenue (RMR) for the dealer. Works with the Connect ONE Access Expander and the Commercial ALL IN ONE which supports ScanPass and Proximity Cards/Readers.